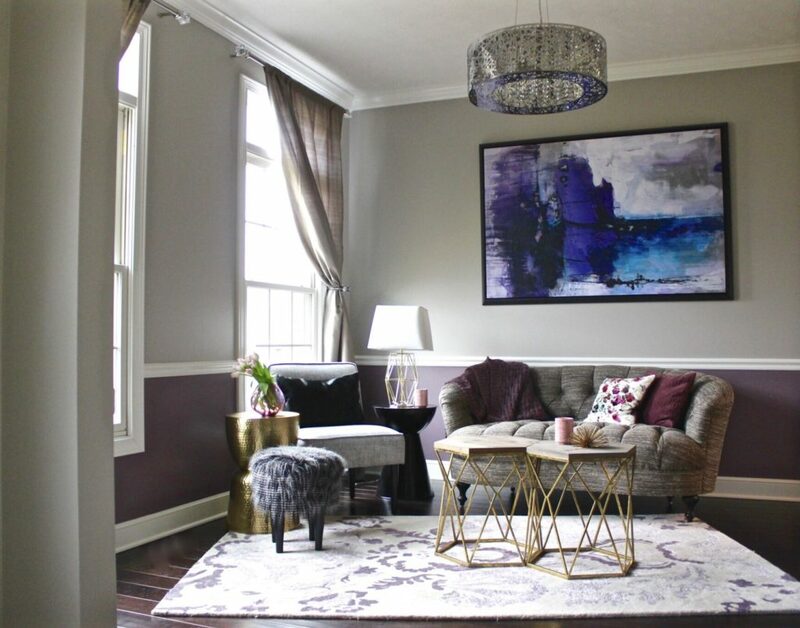 Some people have a thing for sofas, paint colors, or art work. For me, it’s rugs. When I’m furnishing a room or changing up decor in my home, I’m the type of person who typically uses rugs as my starting point. When we moved into a house that required rugs in practically every room, I was in rug heaven. I spent a ridiculous amount of time browsing rugs online in the middle of the night, measuring rooms, even sketching layouts. Since this was all somewhat new to me, I found myself questioning sizes, patterns (like is a pink rug too bold for a kitchen?) and layout (how do I select rugs for an open floor plan?) so I reached out to Summer from Adeas Interior Design for advice countless times. If rugs ever leave you feeling somewhat overwhelmed keep reading because our expert designer, Summer is back this month with a new post in the Summer Series sharing some of her best rug decor tips. Also, check out her original work in the photos below for inspiration! When faced with wanting to change a space in your home, the task can seem daunting. 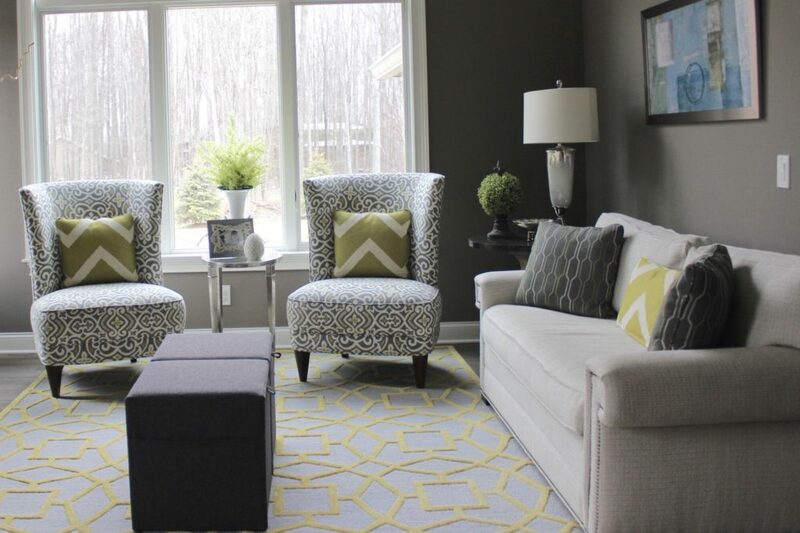 Is it a paint color, a sofa, artwork, a rug……where do you start? Well the answer is really easy, whatever comes first! If you fall in love with a piece of art, then work your room around those colors to create your space. A favorite color is a great to way to get the mood going for a space, and if you are lucky and can start with a rug, that’s a great place to get inspired and find direction. When choosing a rug though, try to stick to some basic designer techniques to get the right size rug to fit your space. This is where you have all your furniture legs all placed within the rug dimensions. The room feels anchored by this large rug and is both a major feature in the room but also acts as a stabilizing base for the rest of your pieces. It’s usually a rug that has soft prints and patterns and can often be monochromatic and monotone in nature so it doesn’t overwhelm the area. When picking a rug size, try to leave 18 inches of floor showing around the perimeter of the rug. In smaller spaces like closets and foyers it can be tighter, so 6-8 inches of exposed flooring is fine in those spaces. This is where you place the front legs of your furniture on the rug and the back legs are off. This is a great way to get a better price (smaller rug=lesser price) on your rug while still giving the space a beautiful balance and lots of love. Here you can get bolder colors and patterns and have the rug pop since you will still see much of your base floor in the room. You feel a wonderful warmth because your floors are not bare, but it isn’t overtaking the room like the Mom hug does. 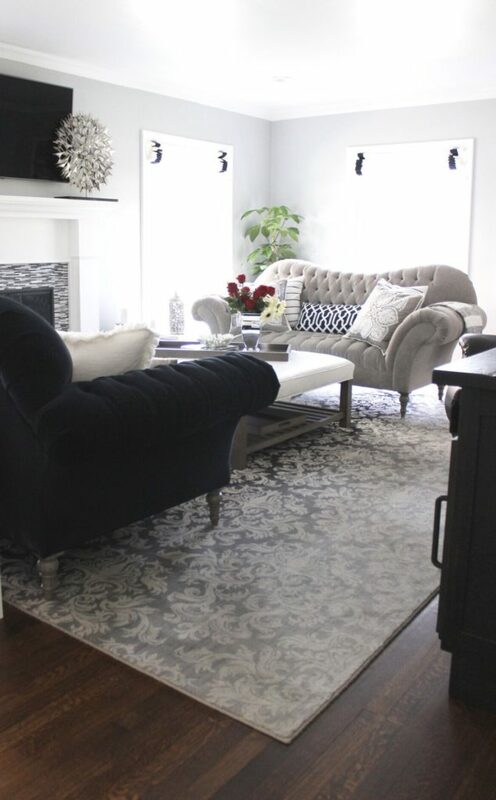 Often times rooms are not so cut and dry and you need to work around spaces that may not be so symmetrical, or you may have fallen in love with a rug that doesn’t come in the size you may need. With The Jack of all Trades technique you still want to anchor the room with a rug, but may mix it up and bend the rules by placing only some items on the rug, some off completely, or some with front legs on and others with all legs on. In any case, always keep in mind by mixing it up you want to stick to rugs that don’t have a defined center pattern (like a large center damask) because this will leave that pattern off-center and may even hide that center feature because of how you are laying it out asymmetrically. Instead pick solid or minimal patterned rugs, or rugs whose patterns are small and repetitive to make this methods work. This is where you throw out the rules and create a unique look based off of the features that catch your eye in a space. Maybe you want to draw peoples eye to a specific wall or furniture piece and so the angle of the rug becomes the road that leads to that piece. Another great way to save on paying for larger rugs is layering rugs to cover a space like mixing a sheepskin or cowhide rug on top of other similar colored wool rugs. 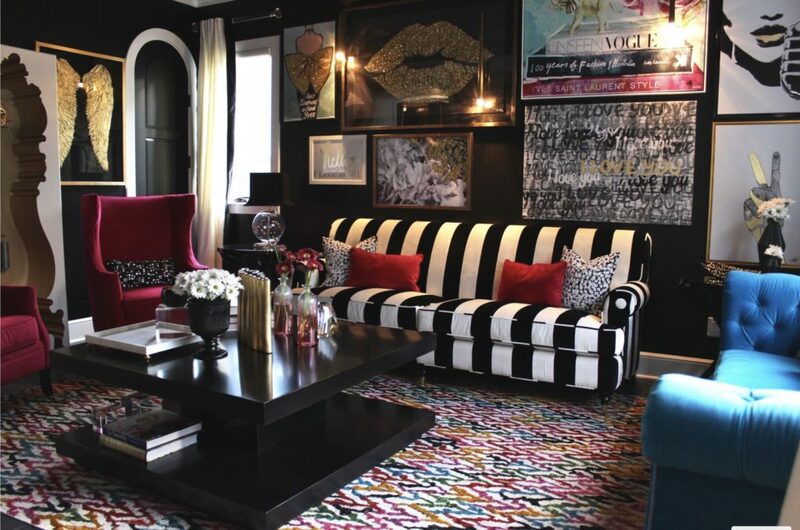 Or using a jute rug with a mix of tribal rugs to create a unique one-of-a-kind look in your home. This is where you want to make it all about the rug! The rug is looking for attention and so you leave it all on its own, shining bright with no one to take its spotlight away. 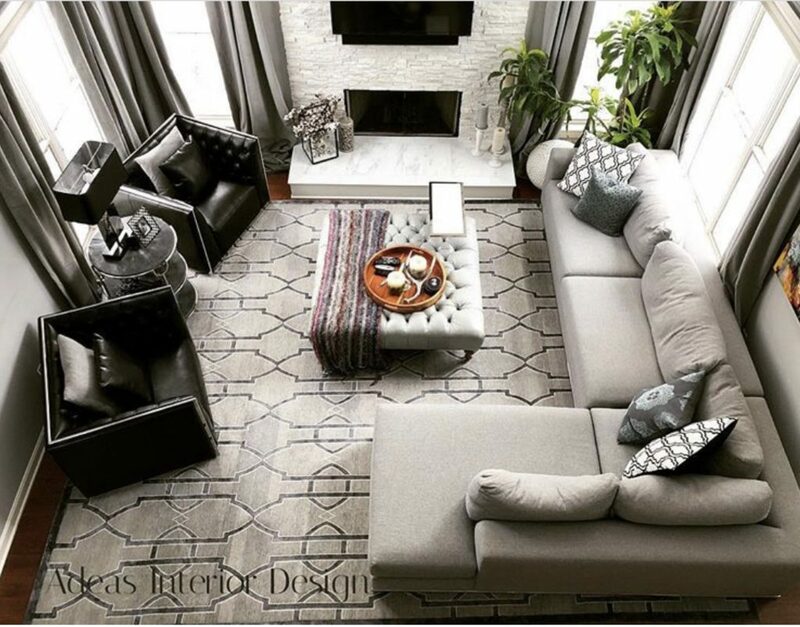 If you found a rug that is extraordinary and you want to showcase it, leave all the legs off, although still keeping in mind to leave less then 6 inches away from the furniture so it doesn’t seem detached from everything else in the space. 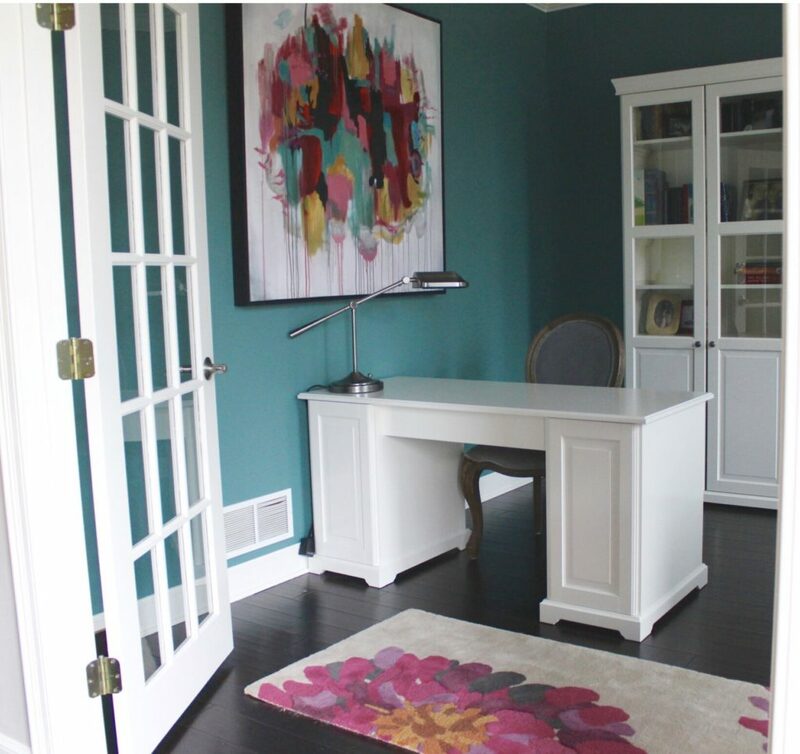 This technique is great for hallways, foyers and offices.